Four decades earlier Tarantino’s attempt to keep a tally of his films was foreshadowed by Federico Fellini, who in 1963 directed by his calculation his eight and a half film, which he aptly names 8½. 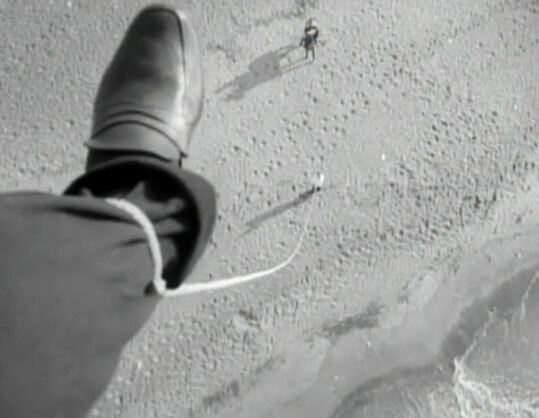 A film such as 8½ or to correct myself, a poetic masterpiece of sound and image should be recommended with a thoughtful phrase rather than a blunt statement. It should be assumed that to appreciate 8½ requires the individual spectator to be capable of reading more than a single superlative or blunt phrase. Between 1952 and 1973, across three decades, Vincente Minnelli’s The Bad and the Beautiful, Federico Fellini’s 8½, and François Truffaut’s La Nuit américaine (Day for Night) took a piercing stare behind the light and shadows of the silver screen to the business behind the art. What remains a point of interest is how Fellini and Truffaut’s films show the displacement of the producer in favour of the director. This is of course an evolution in cinema and fitting when one of the champions of the auteur theory, François Truffaut’s name is mentioned. Federico Fellini’s 8 1/2 captures the angst of creative uncertainty, with an aesthetic beauty of the cinematic image, but also the comedic touch Fellini was a master at exploiting. 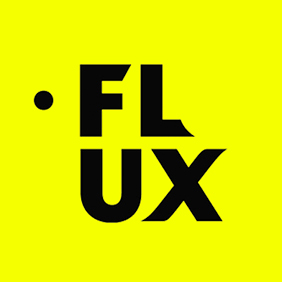 It captures the search for the story within the ideas, and whilst we must trust Truffaut to a degree, it captures the challenge of the immense task to giving that which starts out within consciousness as images without form, their eventual physical incarnation. Most of all 8½ is a tale of succumbing to creative limitations, and the realisation that as a creative translator, not all ideas will speak with you, some ideas a indecipherable and foreign language. From the marriage of sound and image, the dubbed voices providing the film with its ethereal quality as Guido’s memories, dreams and reality collide and tangle, to Mastroianni’s compelling and beautiful performance that is delivered with a self-assured grace and delicate touch beneath the veil of his characters uncertainty, 8½ is more aptly described as a dream than a film, the dream of perfection that sits in the celestial cinematic heavens, as a depiction of the creative angst. There is a belief that if you try to explain why you love a piece of music, you undermine the very reason that you do. 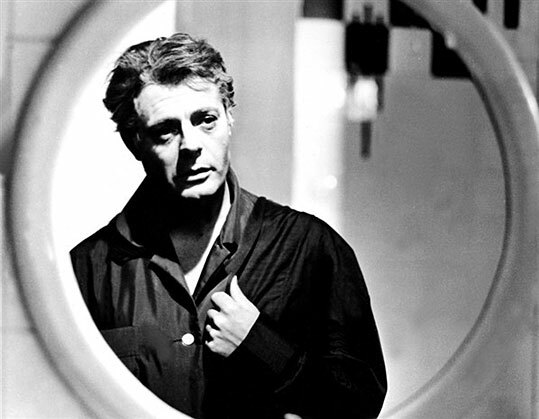 Just like Guido (Marcello Mastroianni) cannot discover the film from within himself that will possess an honesty, perhaps 8½ is one of those films that should be appreciated and not spoken of, appreciated on the same instinctive and emotional level as music. If our understanding of it should remain slightly ambiguous or clouded by our conscious awareness of it, then surely we share an intimacy with the comedic-world Fellini created in his eight and a half film. Following his early accomplishments of I Vitelloni, Le notti di Cabiria (Nights of Cabria), La Strada and La Dolce Vita, 8½ is Fellini’s realisation of cinematic immortality. All that one can say with a tip of the hat in thanks is bravo Federico Fellini. 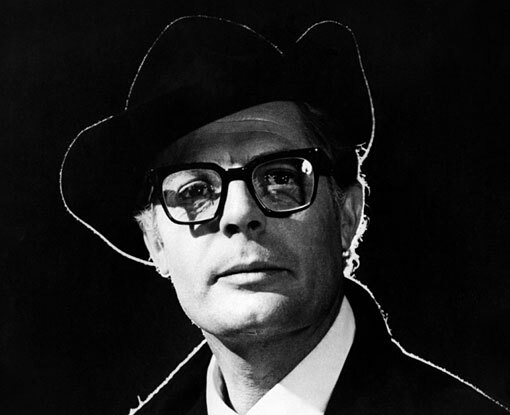 8½ is available to own now on Blu-Ray courtesy of Argent Films. 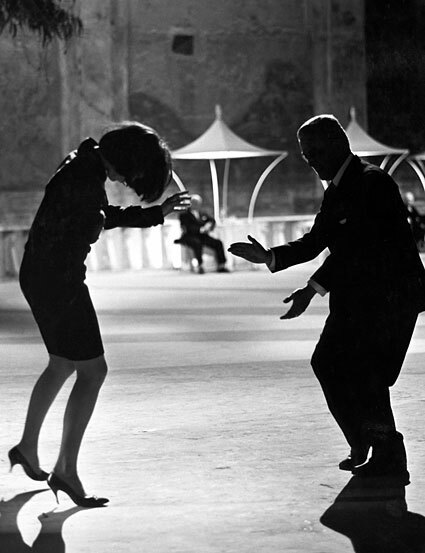 8½ review by Paul Risker.